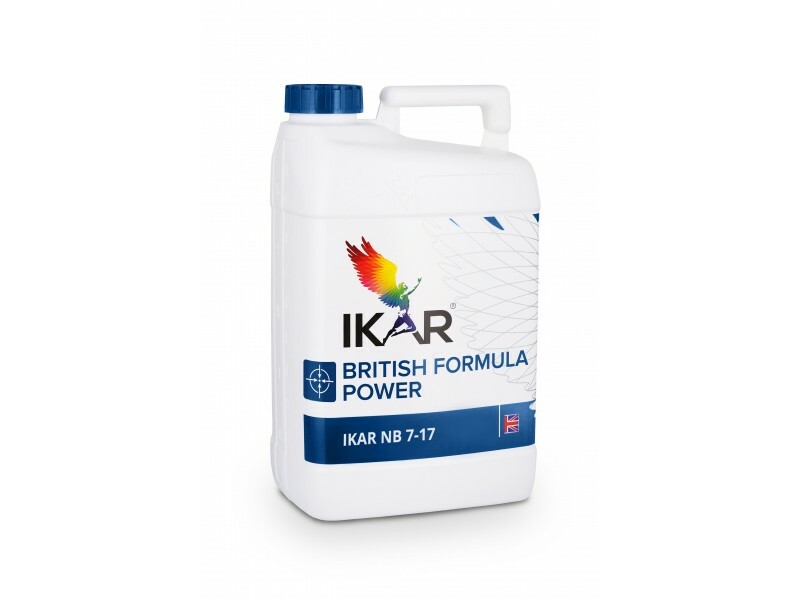 For optimization of physiological processes in plants - Ikar NB 7-17 – concentrated liquid boron fertilizer, fits for additional fertilizing of plants, which need more boron. Boron participates in various physiological processes in plants, has influence of growth and development of roots, activity of enzymes, synthesis of protein and carbohydrates, transportation of nutritive from leaves to roots, resistance of plant against diseases. Boron in plants is sessile, therefore, condition of plants is also determined by constant reception of this trace element. Lack of boron shows due to imbalance between boron and calcium, little quantity of organic substances in soil. In alkaline soils calcium suppresses absorption of boron. Draught, insufficient quantity of dampness, low temperature, big amount of fall over short time - factors causing lack of boron. • for activeness of enzymes, synthesis of proteins, carbohydrates, especially sucrose, ascorbic acid and in metabolism process of nucleic acids, stimulates synthesis of carbohydrates and flow from leaves to seeds and roots. • for formation of pollen, germination, viability, maturation of seed fruits, mass and quality of the latter. • for assimilation of phosphorus, calcium, which are responsible for strength of cell walls, resistance against diseases. • for osmotic pressure in cells, transpiration. • for growth and development of roots, including tubercle bacteria in leguminous plants. Fits for use for fertilizing of all plants through leaves or for watering when additional quantity of boron (B) is necessary or for compensation of suddenly emerging lack of it. Norm for fertilizing through leaves 0,5-1,5 l/ha. When fertilizing through leaves for pulse, rapes, beetroots, onetime norm is 0,5-1,0 l/ha. During full vegetation necessary to fertilize 1-3 times, at environment temperature above + 10 o C. Fertilizing of rapes: 0,5-1,5 l/ha, depending on growth phase 1-4 times. Fertilizing of peas, beans: 0,5-1,0 l/ha, until height of 10-20 cm. Fertilizing of pulse herbage : 0,5-1,5 l/ha, after resume of vegetation until buttonization. Fertilizing of sugar -beets : 0,5-1,5 l/ha, during phase of 7-8 leaves. Fertilizing of potatoes: 0,5-1,5 l/ha, during phase of tuber formation BBCH 40-50. 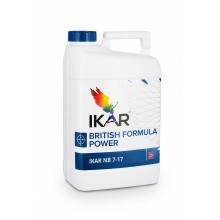 Fertilizing of vegetables: 0,5-1,5 l/ha, to spray or water with 0,3% solution.